On September 8 at approximately 6:20 p.m., Calcasieu Parish Sheriff’s Office deputies were dispatched to a home on Scheufens Road in Lake Charles, where CPSO had previously worked a homicide on September 6, in reference to a burglary in progress. Deputies were advised the complainant heard glass break and observed a woman climb a ladder and enter the home through a window in the rear of the residence. When deputies arrived, they observed a man, later identified as Arizona Allen, 67, 706 Sycamore Street, Lake Charles, sitting in a pickup truck parked in the driveway of the home. Deputies also observed a woman, later identified as Jaimee M. Hetzler, 35, 830 Shady Lane, Westlake, exiting the residence from a side door. During the investigation Hetzler told deputies that the homeowner, Randall Austin, who is currently incarcerated at the Calcasieu Correctional Center for manslaughter, had contacted her and said she could remove some items from the home. Deputies contacted Austin at the CCC and he advised deputies he did not give Hetzler permission to enter the residence. When deputies questioned Allen, he told deputies that Hetzler asked him to bring her to the residence and he thought she had permission to be there. Deputies located several items that were out of place and boxes that appeared to be packed up by Hetzler. Deputies also located Alprazolam on Hetzler’s person. 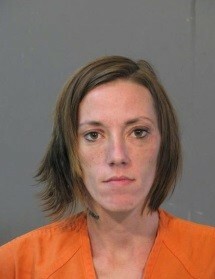 Hetzler and Allen were arrested and booked into the Calcasieu Correctional Center. Hetzler is charged with simple burglary of an inhabited dwelling; attempted theft; and possession of CDS IV. 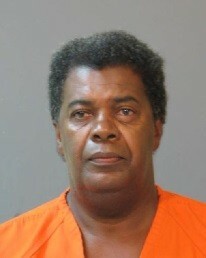 Allen is charged with criminal trespass. Judge Michael Canaday set Hetzler’s bond at $30,000 and Allen was released on a $2,500 bond set by Judge Michael Canaday. CPSO Deputies Cpl. Chris Miller, William Vaughn, Brian Haley and Adam Wentzel are the arresting deputies in this case. CPSO Detective Roy Pesson is the lead investigator on this case.